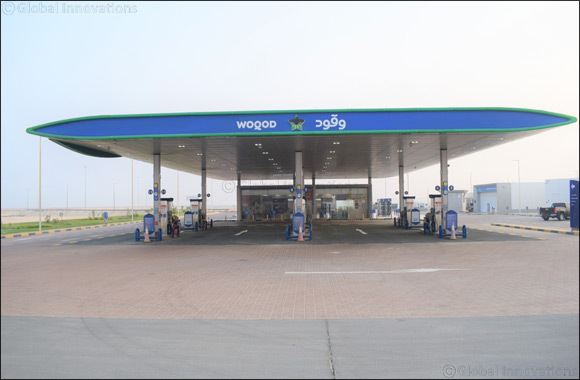 Doha, Qatar, October 06, 2018: As part of the WOQOD’s ongoing expansion plans to be able to serve every area in Qatar, Qatar Fuel “WOQOD” opened Fereej Kulaib petrol station on Wednesday, 3rd October 2018, and by this raised its network of various petrol stations to 64. Fereej Kulaib petrol station is spread over an area of 3,554 square meters and has 8 lanes that will serve Fereej Kulaib and its neighborhood. In addition, the number of dispensers was increased in order to enhance the quality of the service and reduce the vehicle congestion at the petrol stations. Engineer Al Muhannadi indicated that the new petrol station offers round-the-clock services to residents, includes Sidra convenience store, sale of LPG cylinders, in addition to sale of gasoline and diesel products. Engineer Al Muhannadi further added that WOQOD is currently working in the construction of 31 petrol station projects, and most of these projects are expected to be operational this year. He explained that WOQOD has currently 7 new stations in the tendering phase and 10 stations in the design phase, assuring that this month of October will witness the opening of three new fixed petrol stations in Old Aslata (Korniche) Hamad International Airport and Foxhill (Luwsail). Engineer Al Muhannadi also pointed out that WOQOD, in furtherance of customer’s satisfaction and the decrease of traffic congestions in petrol stations, is currently working on the dismantling of diesel dispensers in Wadi Albanat, Bufassaila and Rowdat Al Hamama petrol stations, and will replace them by petrol dispensers. Al Muhannadi further explained that WOQOD in considering the replacement of the dismantled diesel dispensers by three mobile diesel stations to be placed in some areas near to the three aforesaid petrol stations. Engineer Al Muhannadi concludes his announcement by saying that “As part of its strategic expansion plan, WOQOD is targeting the achievement of a total of 120 fuel stations by the end of 2020”.